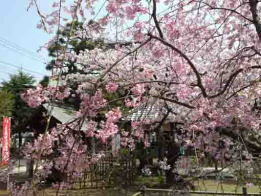 Tekona, the beauty, lived in Mama, Katsushika-gun, Shimousa province in thousands years ago was sang in some poems in the Myriad Leaves. 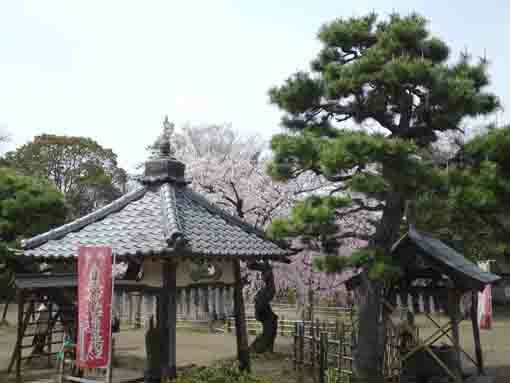 And Tekona Reishido Shrine was drawn in Edo Meisho Hyakukei (the hundred popular scenic spots in Edo) by Hiroshige Utagawa, was introduced in Edo Meisho Zue (the guide book introducing scenic spots in Edo) as Tekona Myojin (a goddess), and the legend of Tekona has been loved by many people for thousands years. It was a very sad story. 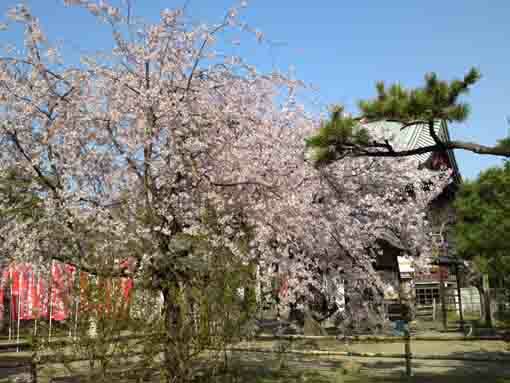 Once upon a time, about 2000 years ago, there was a girl whose name Tekona lived in Mama, Katsushika, Shimousa. She always came to a well to dip water. 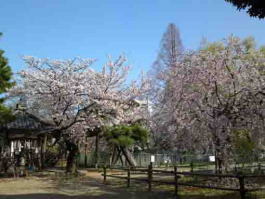 Tekona was a very beautiful girl like blooming flowers so the moon fell love in her. Poeple once saw her fell love in her soon and many men proposed her. She was so confused, at last she fell herself into the well. 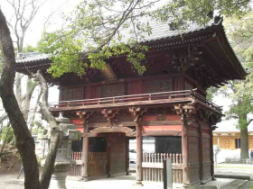 According to records of Mamasan Guhoji Temple, in 1501, the seventh abbot, the venerable Nichiyo received a divine message from Tekona, then he built a shrine on where her tomb might be. 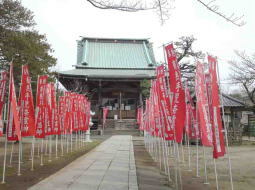 As Tekona Reishindo Shrine is said to have miraculous efficacy for easy delivery, child raising and preventing or curing smallpox, many people visit to pray for them. 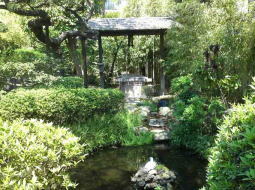 Moreover, there is a stone tablet with a haiku poem 'Furusato no yama shizukanaru shiwasu kana' by Toyo Yoshida under the wisteria trellis. 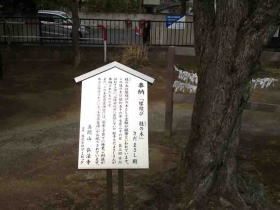 And also there is a Japanese katsura tree donated by Masashi Sada, a very popular Japanese singer song writer in front of the shrine. So Tekona has being loved now. 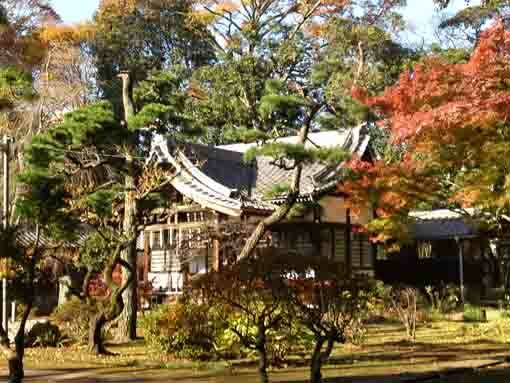 Early Nara period, Akahito Yamabe heard of the legend of Tekona and created haiku poems when he arrived at the capital of Shimousa province, and his poems are collected in Manyoshu (Myriad Leaves). 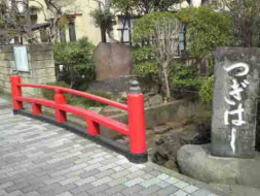 Tekona Reishindo Shrine was built on where Tekona's tomb might be, and the seventh abbot of Mamasan Guhoji Temple, the venerable Nichiyo publicized extensively that the shrine dedicated Tekona. The legend of Tekona is a story about a beautiful lady Tekona. Tekona was so beautiful that many gentlemen came to her and proposed marriage to, and those men conflicted each other in order to get her love. As a result Tekona sank herself into Mama Cove to commit suicide since she thought she would not like to see the conflicts and she thought that she disturbed them to stay peacefully. And there are some other stories about Tekona. One says that Tekona always went to Mama no I well to draw water to discharge her duties to her stepmother. Next, Tekona was a daughter of a strong provincial governor, and she got married with a son of another provincial governor, however she was washed out to her birthplace of Mama Beach because their fathers opposed like Romeo And Juliet. 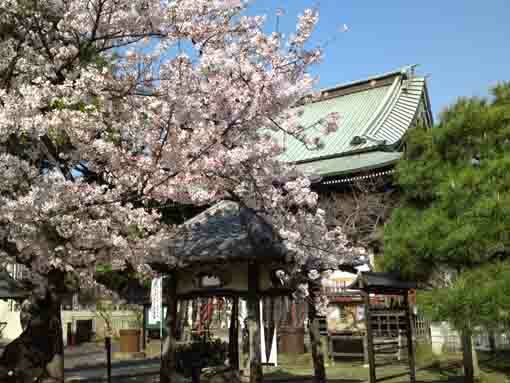 And other says that she was a shrine maiden. 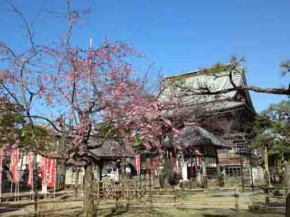 Mama is the spiritual home of literature for people in Ichikawa city since Mama has taken up on many literary works for thousands years. 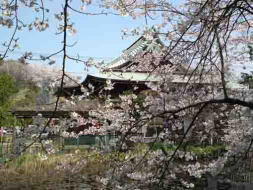 A poem describing a lady in Mama, Katsushika with a tanka poem by Mushimaro Takahashi. 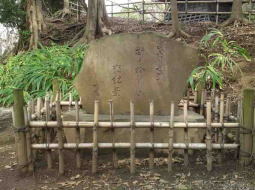 A poem and a tanka poem describing a lady in Mama, Katsushika while Akahito Yamabe no Sukune was passing by her tomb. 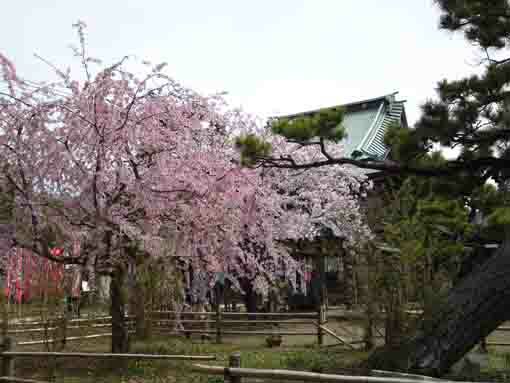 * Please check some translations of Manyoshu or Myriad Leaves. 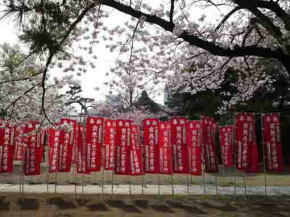 Japanese katsura trees are notably miraculous effective for matchmaking. 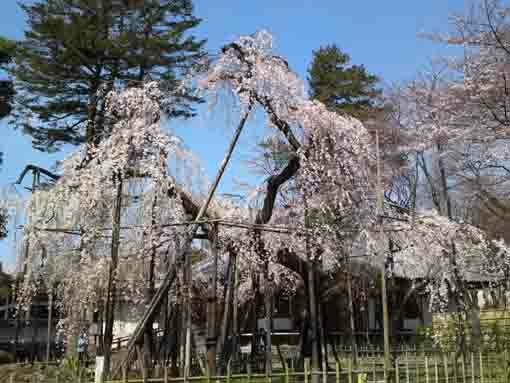 This Japanese katsura tree was dedicated by Masashi Sada, one of the most famous and popular singers in Japan, lived in Ichikawa city at the 3rd Hozuki festival held in July 26th of 1981. 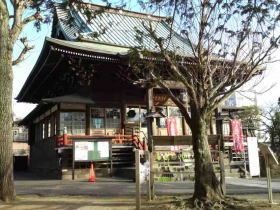 Moreover, Tekona Reishindo Shrine dedicates the goddess Tekona who is said to have remarkably miraculous efficacy for easy delivery and child raising. 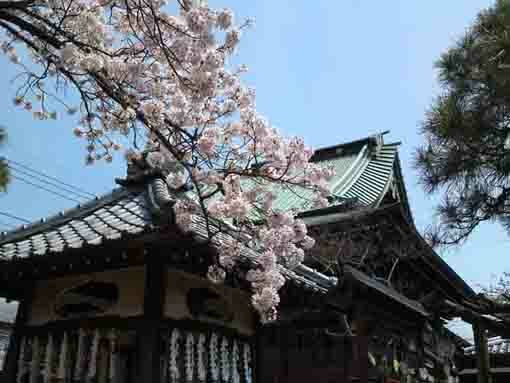 Works: 冬葉第一句集 (Toyo Daiichi Kushu), 故郷 (Kokyo / Home Town),望郷 (Bokyo / Longing to be Home), etc. 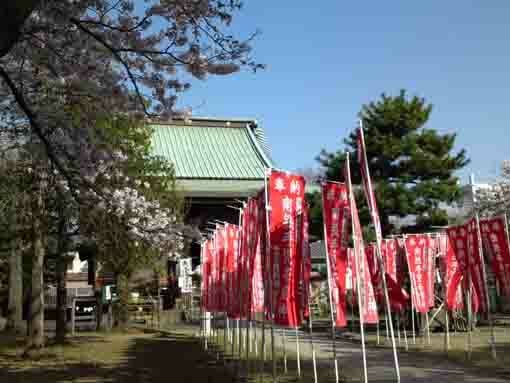 Tekona Reishindo Shrine has great accessibilities from both Narita and Haneda International Airport.